Sunday, July 21, 2019 – 3 to 4:30 p.m. 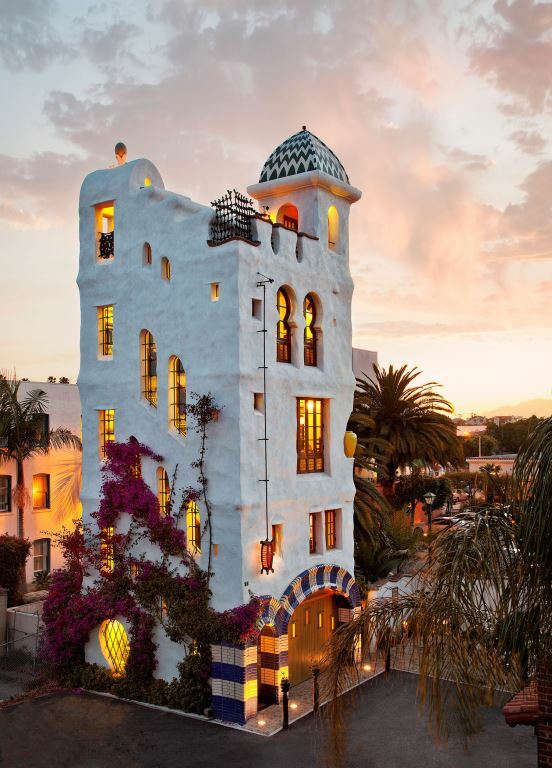 Architect, Jeff Shelton, brings a sense of whimsy and freshness to the traditional Mediterranean and Spanish structures of Southern California. It is not uncommon for his buildings to evoke MC Escher or Dr. Suess. He spent much of his childhood running in and out of homes where he grew up between Lotusland and the boho enclave of Mountain Drive in Santa Barbara, in what he describes as a “fantasy world.” This liveliness is evident in the details of plaster, tile, ceramics and ironwork that mark his signature style. Join us for AfterGLOW, a celebratory supper at the home of Dennis Mitchell and Richard Sanders immediately following the program. Paid reservations are essential & required prior to July 16. We expect this AfterGLOW to sell out.